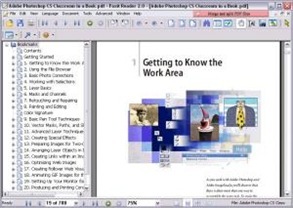 Foxit PDF Reader is an alternative Portable viewer/reader for PDF documents. Foxit PDF Reader is less than 1MB to download and its a portable PDF Reader, doesn't need lengthy installation (just download, unzip, and run). Foxit works with all types of PDF documents you might have, with high display quality. You can zoom in/zoom out or rotate page display, copy text information to other application, search text in PDF document, and print PDF documents.